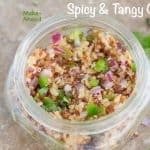 Hello, I am Rini from Healing Tomato and I have an idea for a very quick and simple healthy snack idea that you can eat without feeling guilty. I can’t tell you how many times I have felt guilty for going through half a bag of chips within minutes of opening the bag. The chips did provide a momentary pleasure, but, they didn’t resolve any problems. With the comfort food feeling, the inevitable crash always followed. I quickly felt tired and sleepy soon after consuming those chips. The first step is always admitting that I have a problem right? So, I finally resolved to do something about it. Now that I knew what my problem was, I just needed to find the right kind of snack. 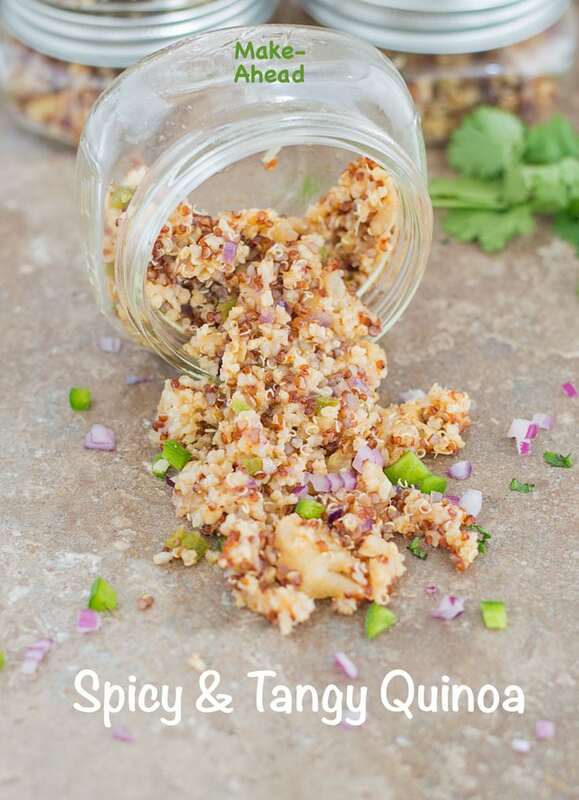 When I did a fajita meal prep recipe for quinoa, I realized that I really loved them for lunch and dinner. This meant that they would make the perfect snack too. To bring it all together, I added taco seasoning which added a little spice to the snack. 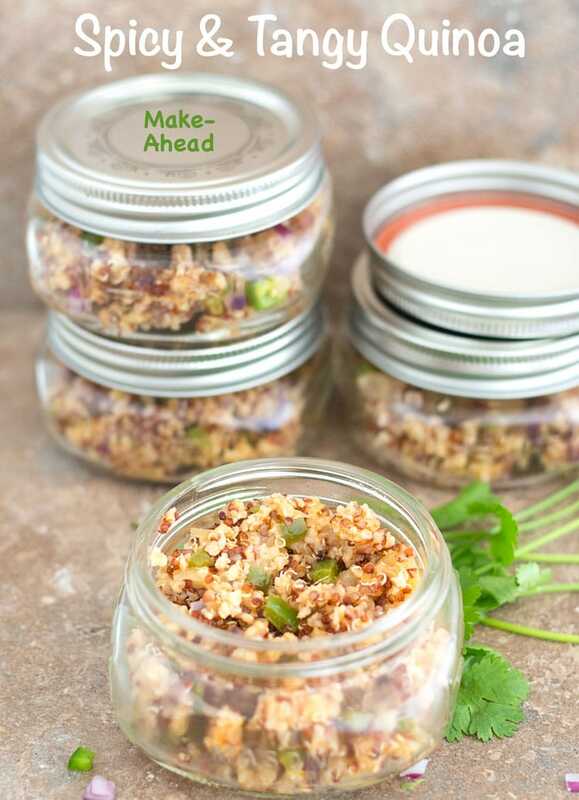 Once the quinoa has cooled down, I put them into small half pint mason jars (8 oz) and refrigerate them. They are good for up to a week and they took very little effort on my part. That’s all! In under 20 minutes, I have a delicious snack that will last me for 5 days. I have dipped pita chips in it and even put it into small tortillas. Add the pineapple, and taco seasoning and mix well. Refrigerate and use it within a week. 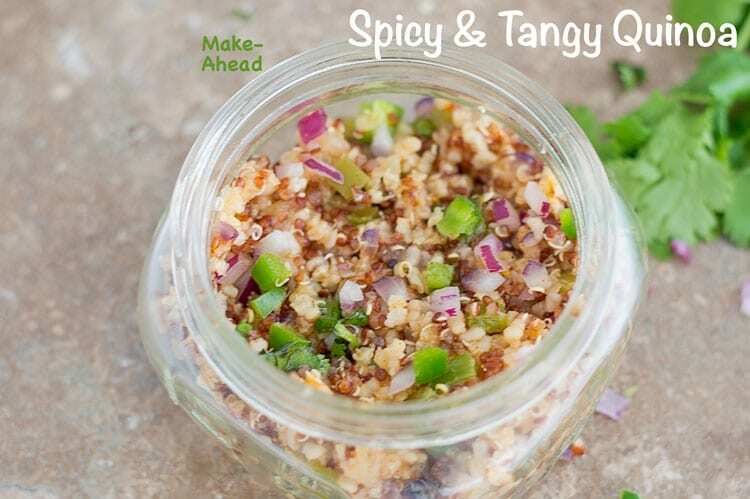 The spicy and tangy quinoa taste great just by itself, too. Try them today and let me know what you think. I love your ideas.. I just like knowing more.??? ?